Keep your life moving forward by keeping your mobile electronics totally charged. With a qualifying purchase, you will receive this black USA Flag 10000XL USB mobile charger as a free gift! 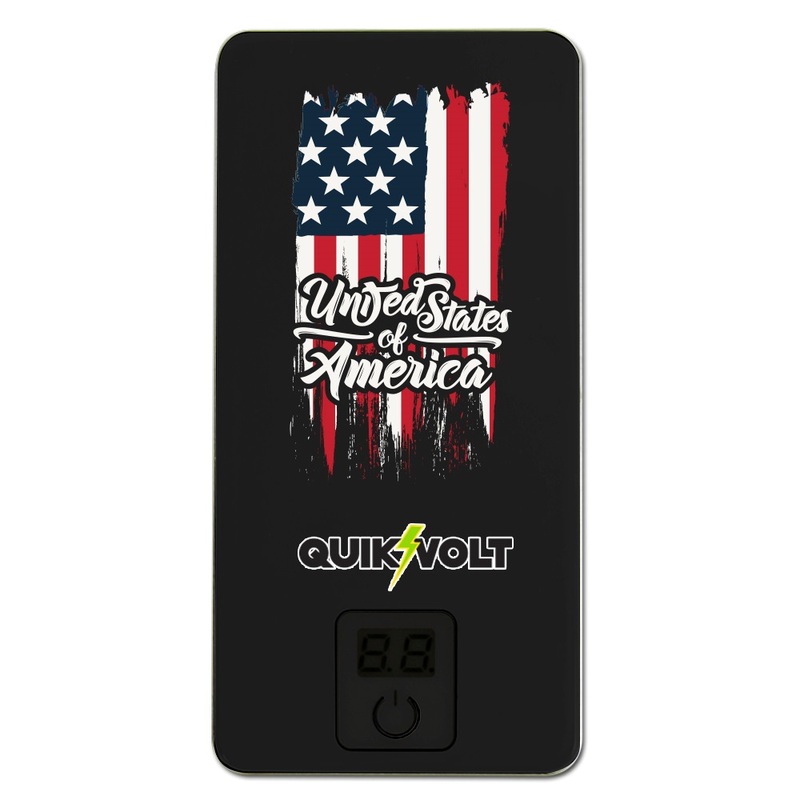 With an awesome USA flag graphic on the roomy (but totally transportable and mobile) surface, plus high compatibility with most devices (Apple, Android, cameras, tablets and more!) with USB compatibility, you’ll simply love the easy convenience of this mobile charger. To further the mobility of this charger, we’re adding in a handy cloth drawstring carrying bag, perfect for travel or storage! We hope you enjoy your gift!